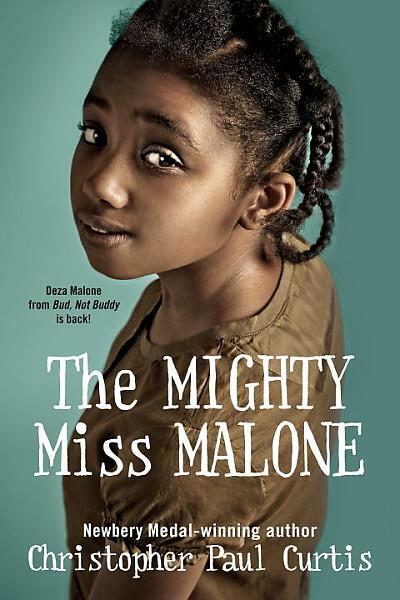 If you can remember Deza Malone from Bud, Not Buddy, you will recall she is a smart and feisty girl. Now Deza has her own story. Although her family is struggling in Gary, Indiana, Deza is pretty happy. She excels in school, has a best friend Clarice, and adores her family. Perhaps she has to eat buggy oatmeal, hasn't had a new dress in ages and can't afford to get her cavities filled, but Deza sees mainly the good in her life. But when her father goes on a fishing trip and ends up first missing and then returning injured, Deza's happy life falls apart. First her father leaves town to try and find work elsewhere. Then the family gets thrown out of their rented house and end up living in camps with lots of other homeless folks outside of Flint, Michigan. Even her brother Jimmie leaves when he hears he might be able to get paid for his superb singing voice. Will Deza and her mother ever manage to get their family back together again? Despite all the very real hardships, Deza mainly stays positive in this sobering picture of the Great Depression. Readers will be interested in the very different life that Deza's family leads during a difficult era in American history.